How grand can a private dinner be? Try having an entire boutique farmhouse to yourselves! 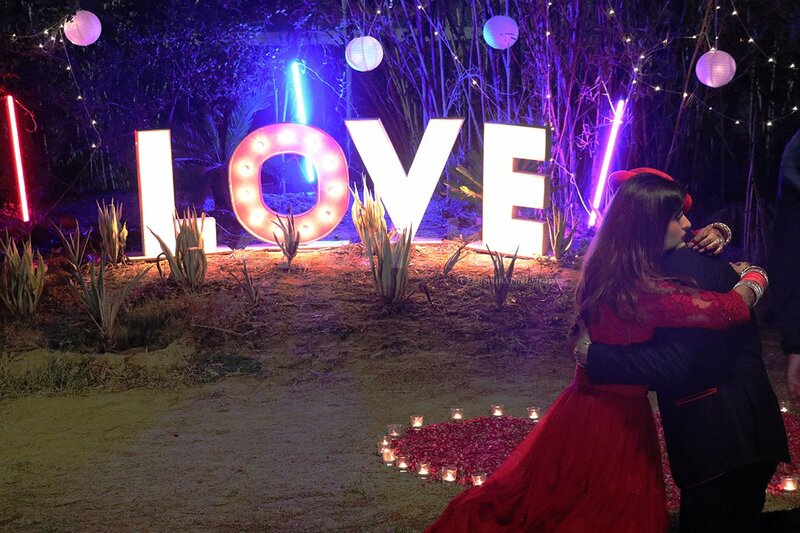 A unique and private experience to celebrate one of the most special moments of your life- the moment when you tell someone that you love them, how much you love them, and that you will love them forever! In the lap of luxury, in the nest of nature, your partner/loved one will find himself or herself enjoying dinner in an absolutely magical setting! For your convenience, parking is available right outside the venue, and you can make a phone call to your host as you approach the place to ensure the best of their hospitality. With your own personal butler at your constant service , your dinner table will be a vision of flowers and candles, you will be given a warm welcome with mocktails, followed by a 3-course lavish North Indian dinner consisting of starters, mains, and desserts. 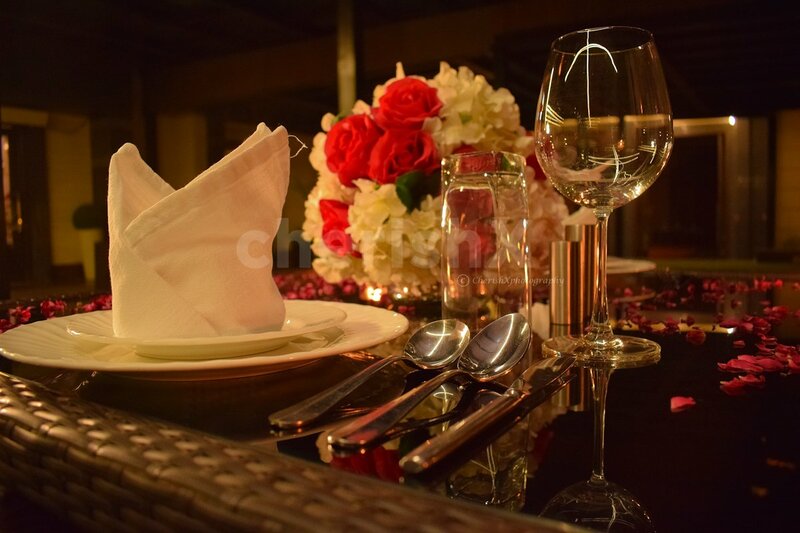 Loved-up and sweetly nestled at this amazing location in the south of delhi, CherishX will give you an evening to remember for life. 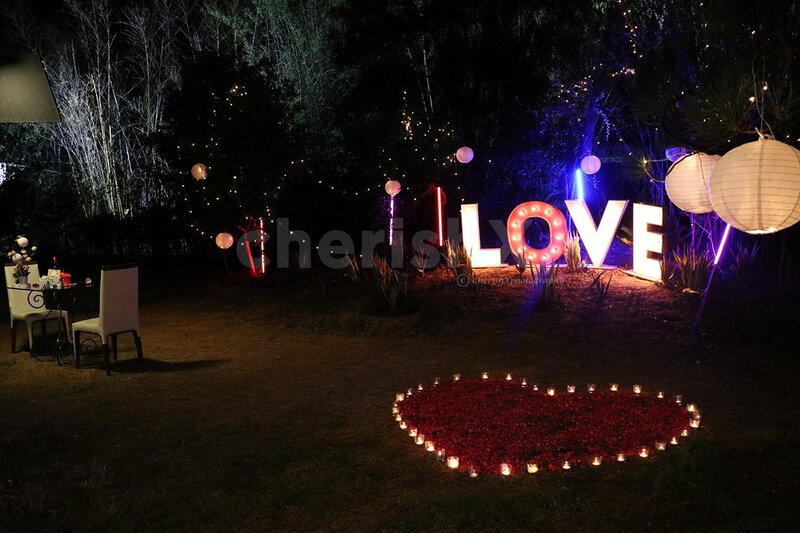 Your own personal garden of bliss, with the letters L.O.V.E. 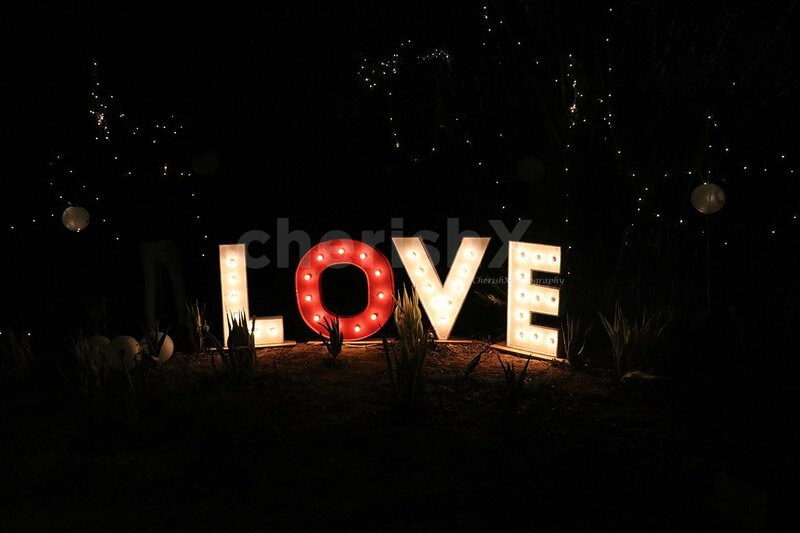 spelt out in bright led lights, and a big red heart made with rose petals and candles- your better half will be truly swept off their feet. You can upgrade your sentiment as well as your package by choosing to ask them to make you the happiest person on earth, in the form of a marriage proposal! 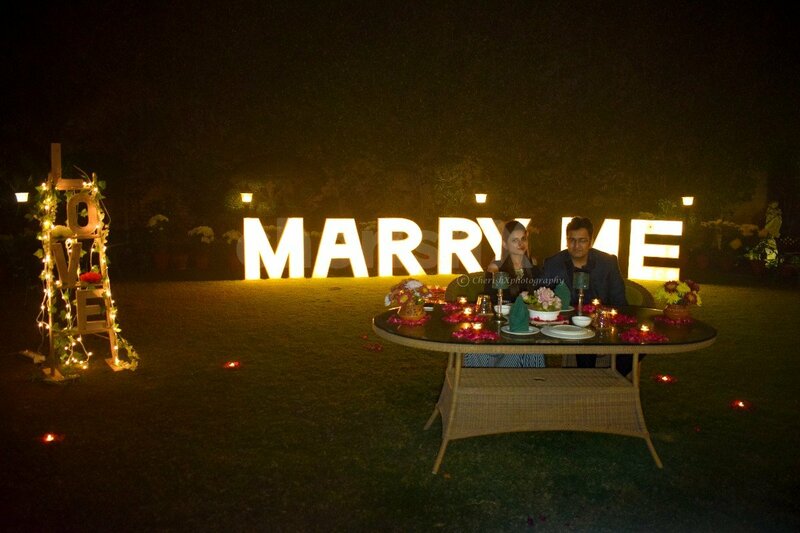 The letters ‘MARRY ME’ will be spelt out large, lit and bold for you to pop the big question.You can further customize this experience by choosing a cake, a bouquet of flowers and a balloon decoration. We need to id proof’s of all the customers visiting once the booking is made.